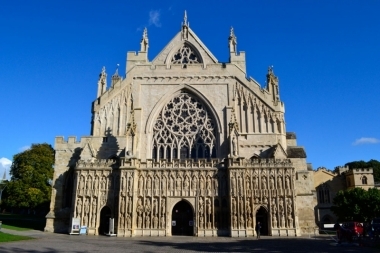 Exeter Cathedral is one of the great cathedrals of England and one of the finest examples of Gothic architecture anywhere. Its visual beauty is a story in stone and glass, embroidery and wood of the faith that built it; a faith which is alive and well and can be experienced here every day. 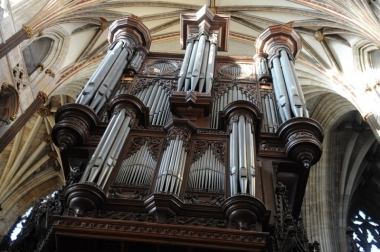 Many of our visitors come to Exeter as part of an organised tour, and pre-booked visits to the Cathedral offer so much more than a chance to take photographs in a beautiful building. Knowledgeable guides can be booked in advance and are able to offer tours in French, German and Spanish as well as English. Of course there’s more to take in than just a tour of the building: Why not explore the hidden roof spaces above the longest medieval gothic vaulted ceiling in the world, climb to the top of the Norman towers or arrange to learn about the treasures of the centuries-old Library and Archive? Don’t forget to leave time to browse the Cathedral Shop or enjoy a traditional Devon Cream Tea in the Café. 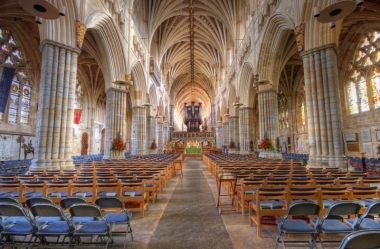 There’s all this and more waiting for you at Exeter Cathedral, the jewel in the heart of the city.